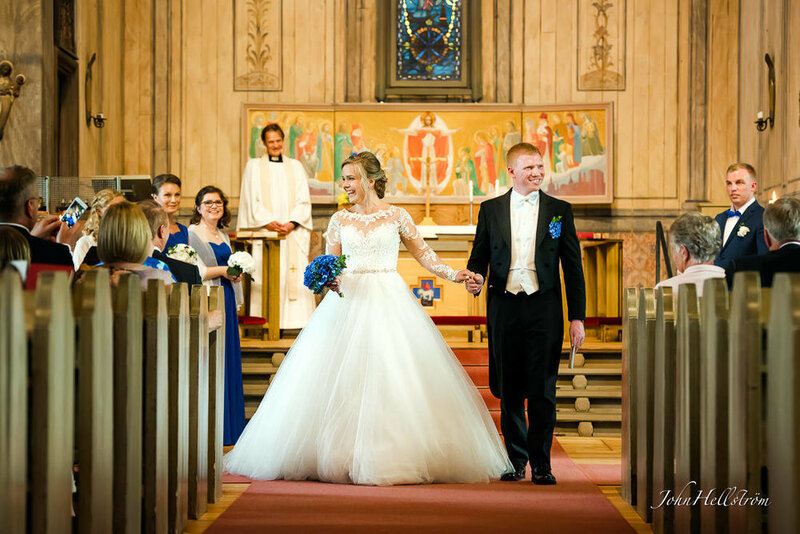 Isabell and Niclas married recently in the All Saints church and I had the honor to be their wedding photographer. Isabell prepared at Björn Axen in central of Stockholm, and Niclas at First Hotel Reisen beside Skeppsbron in the Stockholm Old Town. We had the first look and photographed in Ivar Los park atop Mariaberget. The park has a playground, but the mostly visited for magnificent views of Norrmälarstrand, Kungsholmen and the Old Town. We went from Ivar Lost park to All Saints Church (or Allhelgonakyrkan) for the wedding ceremony. All Saints Church is a brown wooden church belonging to the Katarina parish. It is located at Helgalunden near Skanstull in Södermalm in central Stockholm. Its construction began in 1917 and was finished in 1918. 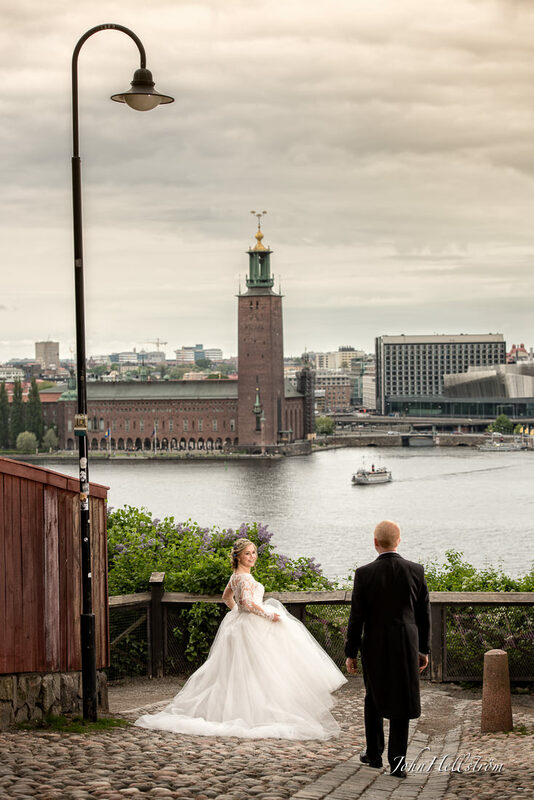 The reception was held in the Clustret Old Town after the ceremony, with a wonderful view over the inlet to Stockholm. The exclusive reception venue Clustret Gamla Stan is a maisonette of 355 sqm with wooden floor and 4 meters in height. It is centrally located in Stockholm at Skeppsbron 44 in Stockholm. The area has an incredible view and a fireplace in every room. The upper floor has an open floor plan with the opportunity to adapt to your needs. The lower floor has many different rooms where you can mingle, dance and socialize. 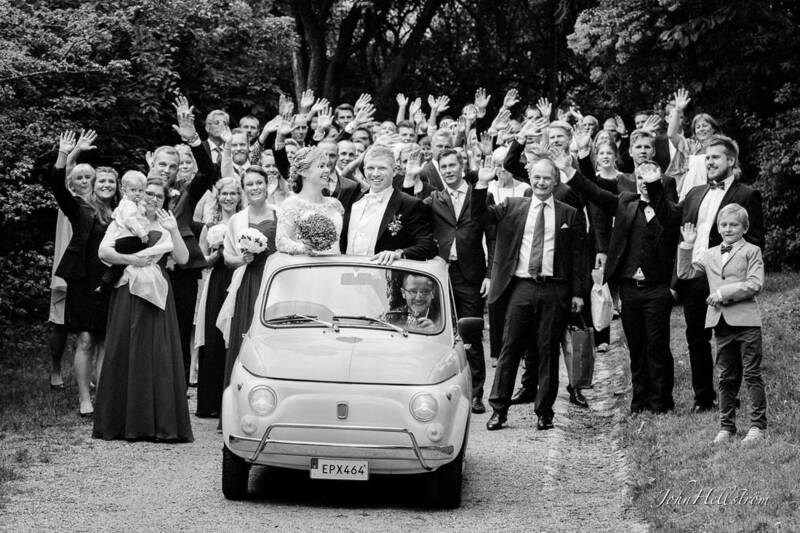 The wedding couple and their guests had a great party until late at night. 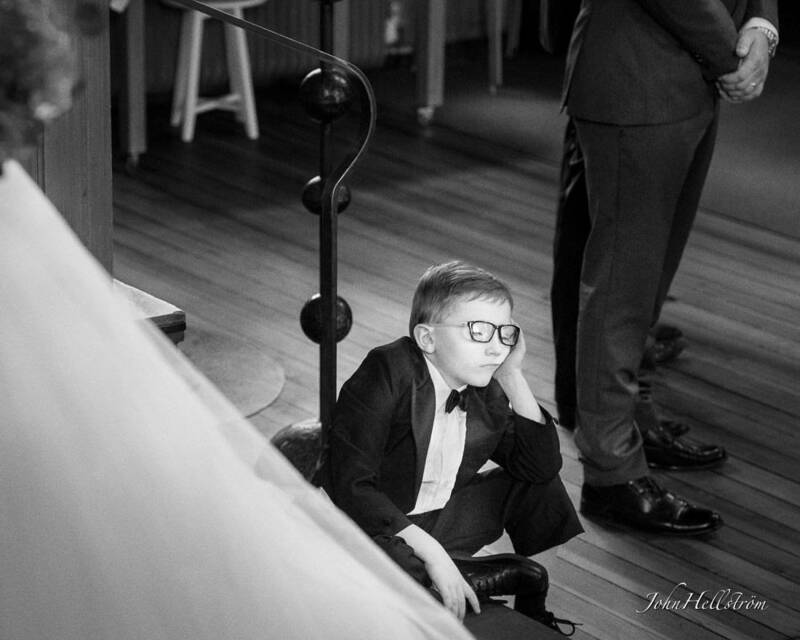 John Hellstrom is a portrait and wedding photographer from Stockholm, Sweden. Contact John here!